What is Speed Wealth Commission System? Can you make $10,000 per month? BUT, What is Speed Wealth Commission System and how does it work? SUBJECT: Congratulations Denis! You’ve WON! You’ve Just Been Selected! (private) Congrats! You’re a WINNER! Denis. This is strictly private and confidential. Please let me know if you are not interested and I will share it with someone who is. Of course, being the curious type, I had to click on the link to find out what I had won! 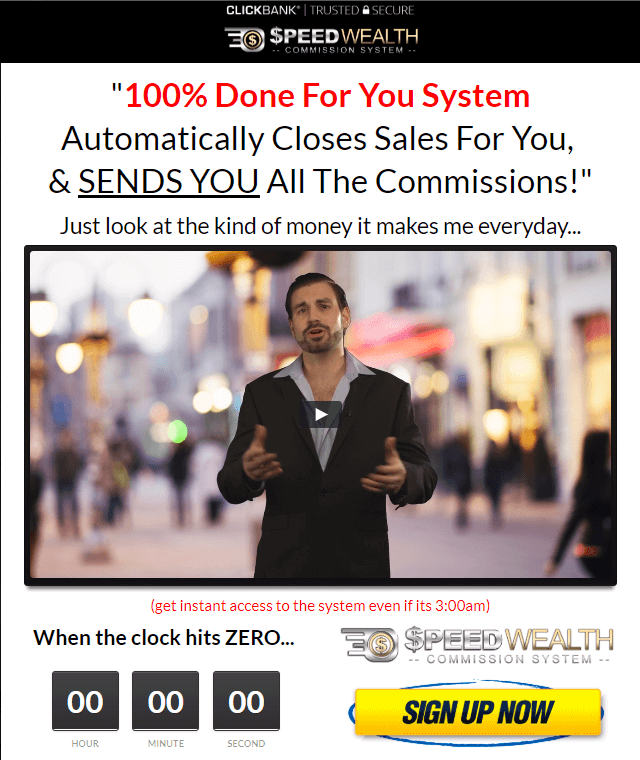 Well, to no surprise, I was brought to a “sales page” (sigh) of this product called “Speed Wealth Commission System”. Being very skeptical, I decided to check it out anyway and let you guys know what I think of it before you jump in yourselves and give them any money! I can tell you right away that I don’t recommend this program! It is the same old song and dance from numerous programs I have reviewed before and these “100% Done For You Systems” are simply hyped-up and are of very low quality! However, if you are looking for an honest and REAL way to make money online, let me show you what method I use. They have been in business since 2005 and they are as real as it can get! No hyped-up stories, No untruth, just plain and real methods and training that is unsurpassed anywhere on the Internet! And the best part is that it is FREE to try, NO Credit Card required! This product is also known as the Speed Wealth System. Matthew Neer is a well-known Internet Marketer for this type of products. He’s the main character and proclaimed owner of this program in this sales Video. 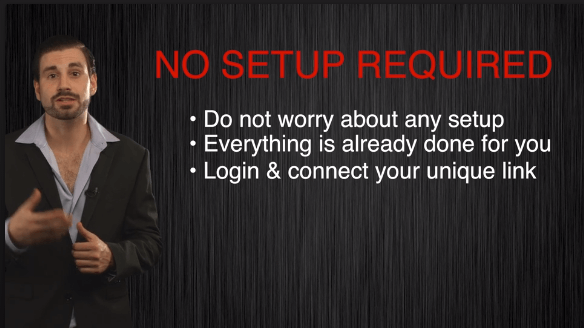 There he is on the front page of the Sales video stating that he has a “100% Done For You System” that automatically closes sales for you and you get all the commissions! “Automated Income” as he says in his first sentence of the video! No work and Free Money!! Yay!!!! Here we go again. This method, according to Matthew is what got him out of poverty. He was so poor he couldn’t sleep at night because of the fear of not being able to pay his bills. Broken down car, can’t get to work so he gets fired, impounded car because he couldn’t pay the registration, blah blah blah!!! You get the idea! Well, this is the same as pretty much every other program that play with people’s emotion really start off with. They tell a sad story about the pain and price of poverty so that worried people will relate to what he’s saying and jump on their offer. The video itself is very hyped up, showing how he made over $10,000 while taking a nap! And then showing off his Ferrari and multi-million-dollar mansion. This program is designed to grab the newcomers and get them to believe that they can make easy money without any work, or hardly any. It does target people that are somewhat familiar with Affiliate marketing. The reason I say this is this is the fact that if you join, you will be promoting the same system that you buy. Nothing else. He wants you to join his clan and sell his product so that he can make $10,000,000 in sales next year! At least that is what he’s saying in his video. He explains how he gets (and you will get if you buy in) potential affiliates to buy a low-priced item and then immediately upsells them to a higher priced product. He describes the method that he uses as ASF – Ascending Sales Funnel. This is NOT a new model of business and many other low-quality programs out there use it. As you can see, it is not just $27 to get in, the lowest price to get to the member’s area is $340! Or you could pay up to $540 if you click before taking advantage of the down sells! 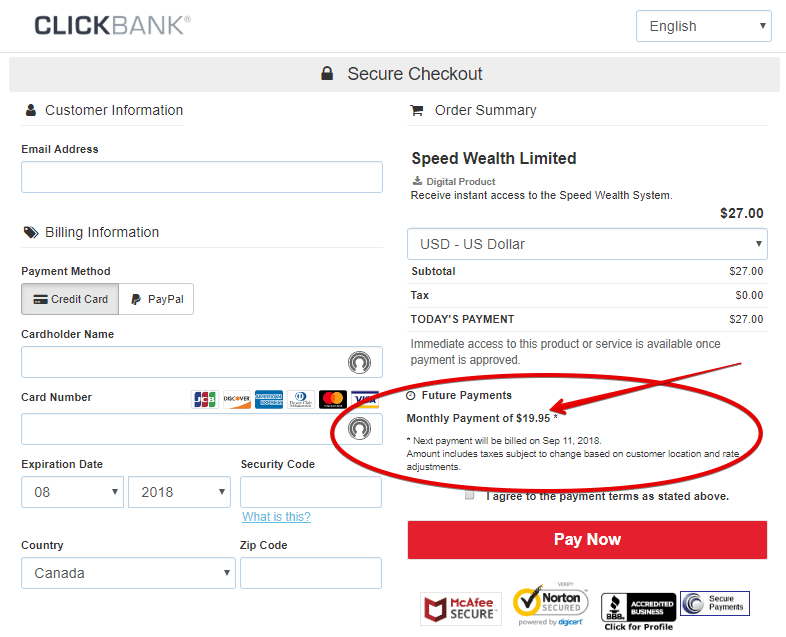 And, I did not hear anything in the sales video about this but, when you do get to the checkout page, there is a recurring monthly fee of $19.95 that is not mentioned anywhere but on the checkout! People! Please be careful on what you sign up for! Read the fine prints and make sure that before you give out your credit card number, that you are aware of what you are paying for. You really don’t want some hidden fees that will come back and haunt you! Anyways, this really sums up what the sales page/video is all about. First, let me give you my full and honest disclosure. I did NOT buy the program. I had seen enough with the sales page, the sales video, the affiliate page and the checkout page to know that this program is really not for me! I am not going to waste any time and money trying it out and requesting a refund thereafter. So, what I am about to disclose here is my personal opinion based on my experiences with the kind of program that is being sold and promoted here. Here is a summary of what you should expect from this program. What you will be paying for is a system to help Matthew sell his own product/program. So actually, you will be selling the same program you have just purchased (If you decide to do so). You will be promoting the same way, using the same landing pages and the same emails as everyone else that buys in. It is run on Matthew’s servers, so you will not own any of the websites and will be charged a monthly fee according to the checkout page of $19.95. READ Is AWOL Academy a scam? Or can you really make money with it? He says that you can make up to $10,000 a month with this system and it’s supposed to be so easy that it only takes 5 steps to get you to make money! Step 2 – Connect your commission links, get approved and get them connected to your account to start earning. Step 3 – Select your traffic source, in order to send potential customers to your Sales Funnel. You will have a choice of free and paid traffic. Step 5 – Everything should be on autopilot by now, so you can sit back and relax and make money! OK! This is all fine and dandy! It all looks and feels like he’s got all the angles covered and that if you decide to buy in, you should be making money with this in no time. Right? Not so fast!!! Any program, it doesn’t matter if it’s Affiliate Marketing, an MLM (Multi-level Marketing), a downloadable digital product, an Amazon or eBay affiliate or whatever else. If it promises you that everything will be done for you, I would stay away! In my experience, it simply doesn’t make any sense and it simply doesn’t exist! This kind of program that promises that it will do everything for you is not new. There are tons of them out there. 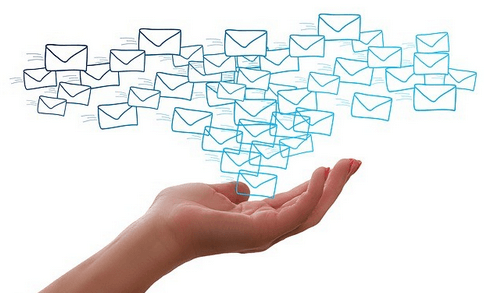 This particular one uses email marketing and Affiliate Marketing. It actually uses the same methods I use, BUT I must take action and work for my online business to succeed. I don’t have anything on autopilot. This is my main concern about this product. The thing is that Affiliate Marketing is more than just 5 steps! It is a great business model, but it has a lot more “steps”, and it does NOT run on autopilot! Same goes for email marketing. Another thing that is not mentioned in the video. Remember the Ascending Sales Funnel? Well, programs like these don’t tell it out front, but in order to make all those commissions, you have to buy in all the different tiers in order to promote them. That means that the $27 or $47 that you pay to get in will never get you the thousands of dollars promised. And buying the upsells does NOT mean that you will be making that kind of money either! And if you buy in, you will have to do the same and hide all the hidden costs to your potential customers. Unless you already have a successful business and have a huge email list that you don’t mind sending them this kind of program, I don’t believe that you will be making $10,000 a month with this one. And if you do send them this kind of program you will most certainly lose their trust and their subscription. Step No. 3 talks about selecting your traffic source as if it was something easy to do. Let me tell you that if you are a beginner, and you are looking to make money online by buying traffic, you will be disappointed. Yes, it is possible to buy a ton of traffic for as little as $19 for hundreds and even thousands of “clicks” to your link, but that’s all it’s going to be “clicks”, nothing else. 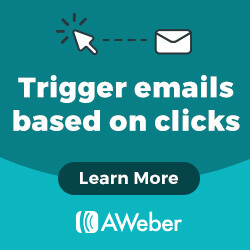 People that click on your link are getting paid to do so and your bounce rate is going to be extremely high, like probably 100%. And you will probably not be getting any sales either. Believe me, I’ve been there and tried that. Just wasted my money! There are tons of ways to buy traffic, but there is nothing like targeted, converting traffic. In order to achieve this kind of traffic, you have to know how to use SEO (search engine optimization). With this method, you provide a solution to people that are looking for an answer in the search engines (Mainly Google) and when they click on your link, they are actually ready to convert their search into a potential sale for you. This program will not teach you how to do this. The product is sold through ClickBank, so it has a 60-day money back guarantee. The initial price is somewhat low at $27, but don’t forget the upsells! It is hard to believe that you will make the kind of money promised on the sales video. Any programs that says it’s on autopilot I would just stay away! If you do buy in, you will have to pay for all the upsells to be able to promote them, and then, you will have to buy some traffic to get people to your link. Are they going to buy? Maybe, maybe not. Bottom line: because of all the factors mentioned here I cannot recommend this program to any beginners trying to find a way to make money online or anyone else for that manner. If you are just beginning, or even if you have started your online business and want to take it to the next level, I suggest that you learn the right way to create and sustain a well-built business with a solid foundation, that will profit you for years to come. I can reveal my own method to you right here. It is a proven honest method that I use every day to make money online. I have been on this platform for almost three years now and I can testify that this method really works! Once you have joined, you will be provided with 2 FREE websites and FREE training! If you have any comments or questions, please leave me a comment below, I will gladly and promptly reply to all comments. Ways to avoid scams online – How to escape them! Tube Crusher Review – Can You Make $3,000 Today? Thank you so much for your insightful article about this product. I often open my emails just to find two or sometimes three of these types of mails in my inbox. The sad part is that some people actually buy in and spend loads of money buying all the upsells, and they never even make a single penny back. Keep on exposing these schemes to sell get-rich-quick methods because hard work is required and success is earned. No business can last for long if you build it like this man proposes. I made it my mission to explain in real terms what these low-quality programs (because of the fact that you do get something I will not call them a scam) offers and what people should be aware of. Being of some experience in the Online Business and having been scammed myself in the past, I want to expose these program for what they really are and nothing else. Thank you for taking the time to make on comment on this one! I appreciate it! I’m always looking on new programs to help my business. But there is a lot of crap out there. 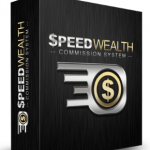 It seems from your review, Speed Wealthy Commission System is just another low quality system. I do like that you didn’t call it a scam. Some of these programs truly are poor, but that doesn’t mean it’s a scam. Thanks for the heads up and good review. Even though these systems are not what they say they are, a scam is something where you will not get anything for your money and there will be no way of getting it back. A good example of a real scam is those phishing emails, where all they want is your personal info to steal from you. In this particular case, you do get “something” for the money you pay, and since it’s sold on ClickBank, you have a 60 day money-back guarantee, so that is the main reason I don’t call it a scam. I would rather use the real term here: Low-quality program/system. Thanks for your comment! I wish you the Best! Oh no, not again another Matthew Neer’s product. Income League and Operation 10K are all under Matthew’s belt, and l utterly disgusted with the hyped up advertisement and the automated things “Done For You” system. 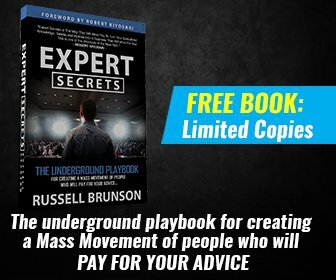 The modus operandi of these 3 programs are the same, luring you into their sale funnel with low cost frontend product, and immediately new pop up asking you to buy their upsell products in order to accelerate your income generation. I hate hidden upsells which is unethical in conducting business. Do you think they want to share with you that can generate $10k per month? Further, it’s “Done For You” system, you never have control of what have done to your site and you have no legal right to the site? Don’t fall pray into this hyped up yet low quality program. If you’re serious in online business, get some real training. Well Nax, I couldn’t have said it better myself. I have nothing to add to your comment! 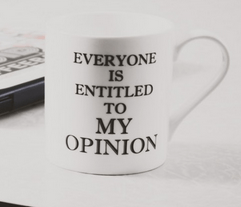 Thanks for stopping by and giving your opinion! I really appreciate! I have bypassed the temptation of these kinds of e-mail many a time…not because I don’t want the money, but because the feel of it was just too good to be true plus I had been a victim of a scam. This topic is an excellent one and I applaud your objectivity and thorough explanation of how it does and does not work. Being that I am a new member to Wealthy Affiliate, the difference between Wealthy Affiliate and other companies, is the community! It has been an unexpected gift all along and it is also a real training arena, with shared talents, skills, and knowledge and although slower, your efforts here provide a lot of guidance and reassurance. Your review reads very easy and progresses answering questions in great order. Thnak you for your kind words Charlotte! I agree that Wealthy Affiliate has one of the best communities on the web, that is a real fact. It provides training and real solutions to anyone looking to have a sustainable business online, from the brand newbie to the advanced marketer, and everyone in between. Thanks so much for your article. I also receive a lot of these emails. When I decided to actually try to make a little extra money online I decided to try and do a little research. I knew there are a lot of scams out there. I was fortunate to find articles like this that reveals these get rich schemes for what they are. 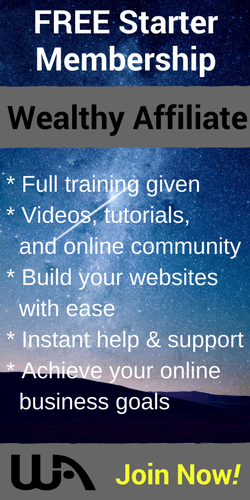 I did finally decide to try Wealthy Affiliate and it turned out great. I realize you probably weren’t looking for testimonials but it is a great community and everyone helps one another. You don’t get rich quick but you can build your business and learn and have fun doing it. Thanks for your article. Know up the good work. I actually appreciate your testimony! It fits well with my article and goes to show that Wealthy Affiliate is true and honest in every sense of the word. I am grateful that you have found your way to this wonderful community of like-minded people and I wish you a lot of success! And I totally agreed with you. Nowadays there are way too many shiny objects and a lot of victims fallen into it in an amicable manner. Without knowing, subconsciously they are hypnotized for the life of money and not making worth of their time helping the other person who is suffering on the other side who are trying to really make money and put bread on the table for their family. I know what you are saying, I was one of those persons myself and got fooled by those shiny objects. But in time I learned! Now I try and tell it like it is so that when someone does his due diligence and searches a little bit before buying into these “deals”, they may end up on one of my reviews and think twice before going in. My alternative is FREE to start and you even get 2 FREE websites. No obligations! Now that is a shiny object that is worth trying! This is a good product review as an alarm bell for beginners who are trying to make some money online. Honestly, because of such low-quality sites, the morale of affiliate marketing is going down. This shows that we should continue writing such reviews that not only hurt the marketing industry but also to save thousands of souls from spending their hard-earned money for a useless stuff that won’t work. Though Speed Wealth Commission System isn’t a scam, it definitely is not for the beginners. Thank you so much for sharing this valuable information, and I wish you all the best in your online journey. You have really caught was the purpose of my article was and you described it perfectly in your comment! I thank you for your honest opinion and I wish you all the best!